The iOS Trailer is now on YouTube! Unicorn Training will be available on iOS in just 2 weeks! I requested it to go up June 25th, giving it 3 weeks to go through the review process. My past games took about 7-12 days in the fall so the 3 weeks leaves me extra time to re-upload if they reject the app for something. I submitted the game on the first and the game is currently under review. 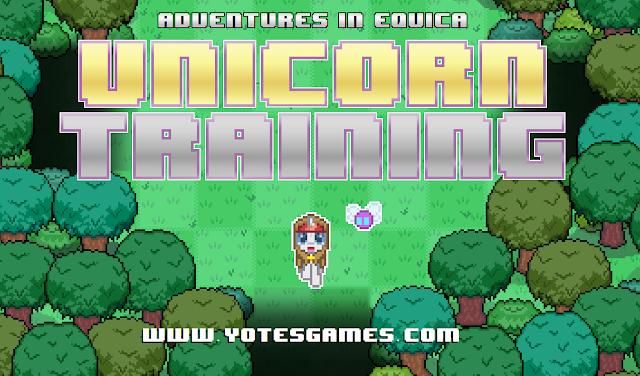 Expect the demo version of Unicorn Training to go up on the same day if all goes well. I like launching on Thursdays because I want the game to boom over a weekend (where people have the most time to play) but my games typically won't show up in searches or show user reviews on the first day they're out. By going up on Thursday, early adopters (mostly people visiting this site) will download the game and leave good reviews for the people coming into the app store to see on Friday and let the game explode from there. Fingers are crossed for better results than on Google Play. The game is much less buggy now, some people have heard of it, and iOS is supposed to be the platform where people buy games more often. My high hopes? 700 downloads before August. It'd be pretty cool to become an LLC before BronyCon even if I won't have time to print off business cards.